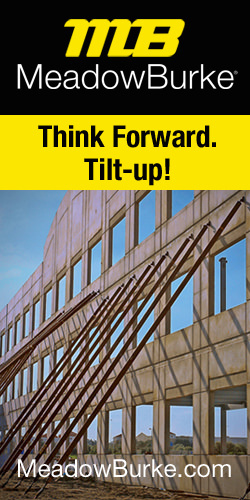 Imagine the valuable impact on the tilt-up industry if it were possible to reduce panel thickness by 20%, eliminate 70% or more of traditional rebar, and erect panels the same day they are poured. While any one of these provides incremental benefit, the combination of the three is an innovative and disruptive advancement within the industry that significantly improves project efficiencies, time to completion, and up-front cost advantages. This concept was unveiled with panel erection demonstrations at the Tilt-Up Concrete Association (TCA) convention and Expo in Dallas, TX last month. A multidisciplinary team involving TCA, TAS Commercial Concrete, Pinnacle Structural Engineers, CMC, Argos Ready Mix Corp, Terracon, CTS Cement and Helix Steel, collaborated to successfully integrate and optimize engineering, materials, constructability, delivery, and performance to substantiate this innovative advancement in tilt-up panel design. Two panels were designed and erected at the event. The first utilized Helix Micro Rebar with a 70% reduction in rebar and reduced the panel thickness by 20%. A second panel utilized Helix Micro Rebar with a 75% reduction in rebar in combination with CTS’ Rapid Set® Cement that was erected in just 4 hours. The technology enabling this innovative fast-track panel design is the combination of Helix 5-25 and CTS Rapid Set® Cement. The marriage of these technologies and the discovery of the synergistic effect between them happened almost accidentally in early 2017. 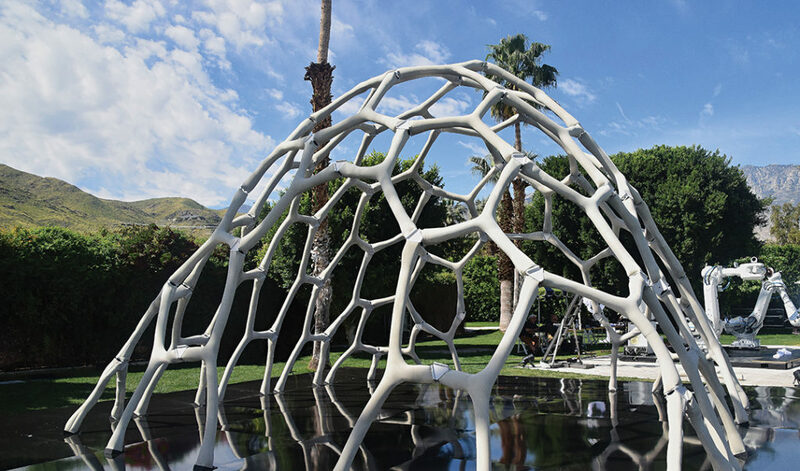 Helix Steel’s engineering team was contacted by Joseph Sarafian and Ron Culver of Form Found Design who had been commissioned by Amazon to build a pavilion using robotically-positioned fabric formed concrete. Through a series of design iterations, it was determined that the solution of using Rapid Set® CementAll® with Helix 5-25 would provide the necessary compressive strength and shear and tensile resistance to meet the project requirements. The structure debuted at Jeff Bezos’ MARS Conference in 2017 and was eventually featured at the A+D Architecture and Design Museum in Los Angeles. Form Found Design was invited to present at TCA’s 2017 Future Think Event. Shortly after the pavilion was built, Luke Pinkerton of Helix Steel met with Ken Vallens, President & CEO of CTS Cement, and the two agreed to further develop innovative applications leveraging the optimized performance that Helix Micro Rebar and CTS Cement’s advanced cement technology can offer. Helix 5-25 Micro Reinforcement is produced with a unique twisted profile that allows each piece to bond to the concrete matrix over its full length, similar to a screw. The reinforcement must untwist as it pulls out of the concrete. 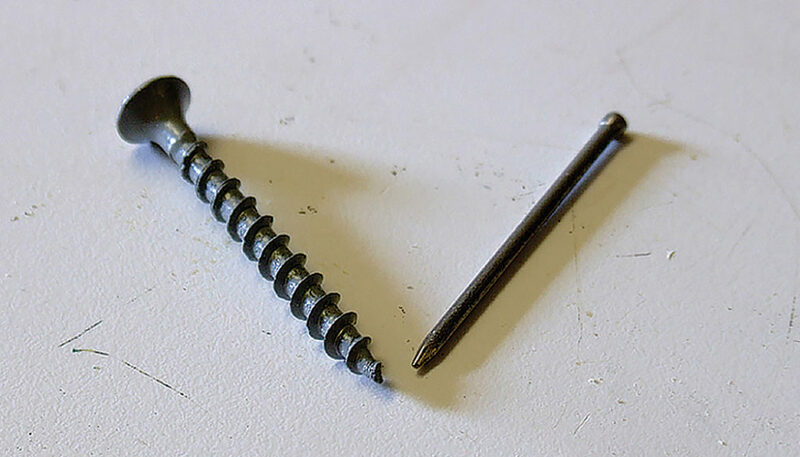 This design is significantly different from traditional steel fibers because pullout is governed by untwisting resistance (picture a screw), rather than friction (picture a nail). Helix is active in both the “Proactive Phase” (pre-crack), increasing peak tensile strength, and during the “Reactive Phase” (post-crack), providing ductility and stable tensile resistance to large crack widths. 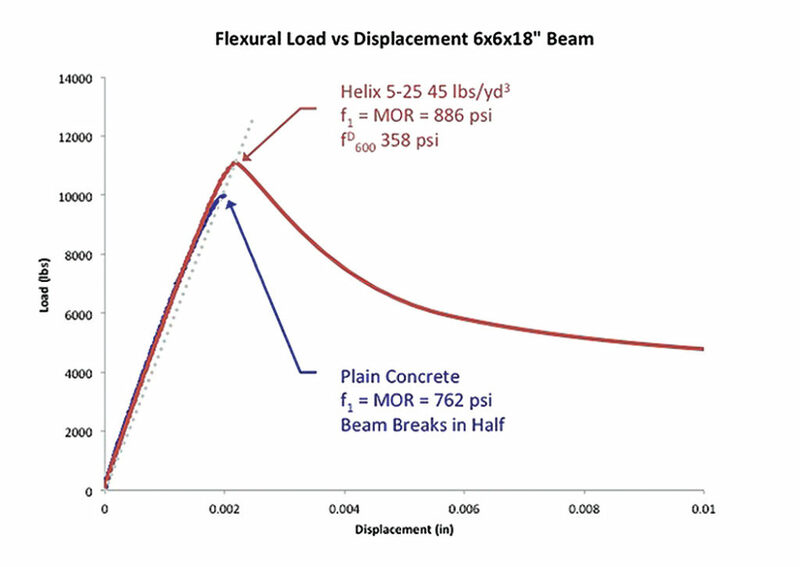 The bond of Helix Micro Rebar and its stiffness affords Helix the unique capability of improving the modulus of rupture (MOR) of the concrete along with residual strength after the crack occurs. 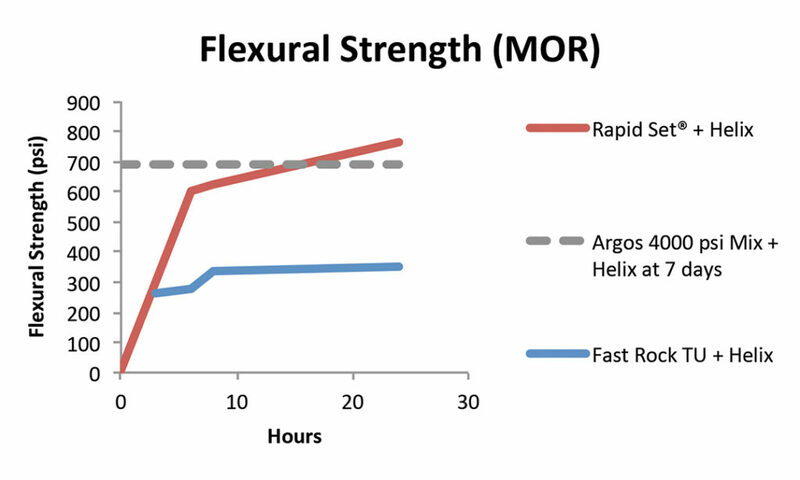 While fibers have been shown to improve post crack performance, the increase in modulus of rupture, especially at lower dosages is more unique to Helix. Helix Micro Rebar has its own unique specifications and approvals, which make it the only replacement for continuous reinforcement in walls that meets International Building Code (IBC) and International Residential Code (IRC) requirements (3). It has been used in walls up to 20 stories and has allowed complete rebar replacement in complex structures while delivering significant project value in efficiencies and up front costs to contractors and owners. The product has been proven for over 15 years and is in use in nearly 40 countries with 100’s of millions of square feet of installation in applications ranging from simple slabs to complex structures and multistory buildings, including nearly 20,000 wall structures. Many of the wall structures employed the principles of structural plain concrete, along with the increase in MOR provided by Helix Micro Rebar, to allow elimination of the need for traditional rebar. Helix Steel supplies two products, Helix 5-25 and Helix 8-52. Helix 5-25 (figure 2), used in the TCA demo panels, is one inch long and is electrogalvanized with zinc to protect it from corrosion. 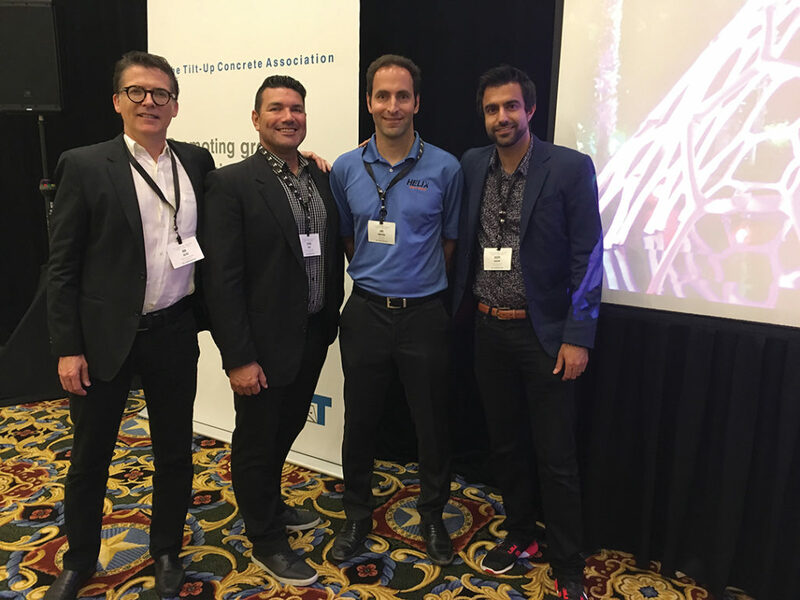 Helix Steel was recently recognized for its work in residential walls and its contribution to ACI 332 code development by the Concrete Foundation Association (CFA) with its Associate of the Year Award. 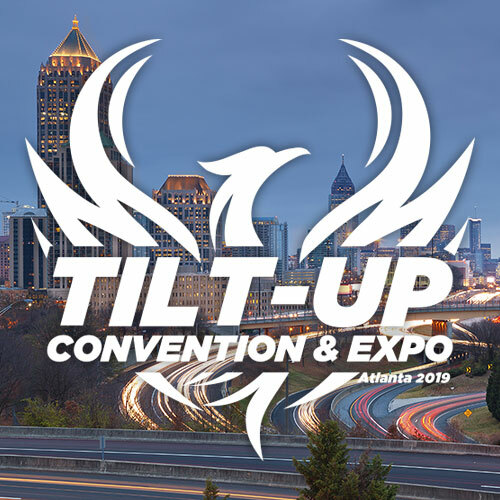 Further, its founder, Luke Pinkerton, was recognized by the Tilt-Up Concrete Association with the Robert Aiken Innovation award at this year’s convention for his work on performance based design approaches. These approaches ultimately encourage the industry as a whole to develop better and more competitive solutions, which is something that Mitch Bloomquist of TCA reinforced at the 2018 TCA convention is needed to meet the growing market demands. CTS’ Rapid Set® Cement and FastRock™ TU products are both based on calcium sulfoaluminate (CSA) cement technology – a pure hydraulic cement renowned for its high early strength gain and maximum long-term strength gain, absolute sulfate resistance, and ultra-low shrinkage. This advanced cement technology achieves a more dense, durable concrete, minimizing or eliminating drying shrinkage cracking and improving overall dimensional stability of the concrete. CSA cement’s unique chemistry and the superior performance properties it provides offer maximum performance for all of CTS’ CSA cement-based products. Its significantly lower carbon footprint continues to drive global demand, notably in regions where sustainability affects mainstream material acceptance. 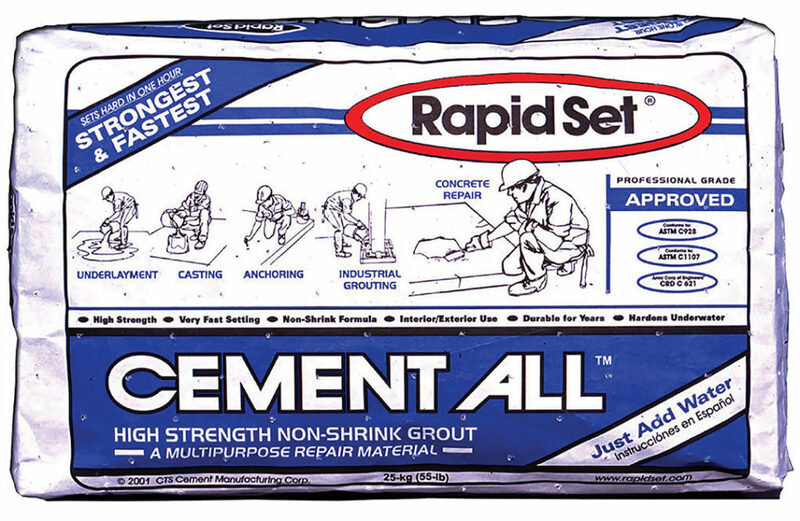 Rapid Set ® Cement is a high performance, rapid hardening, high early strength standalone cement engineered to gain structural strength in as little as one hour. It is used extensively in concrete, mortar and grout materials where in-service or return-to-service time is essential, or where low shrink or non-shrink performance is required. 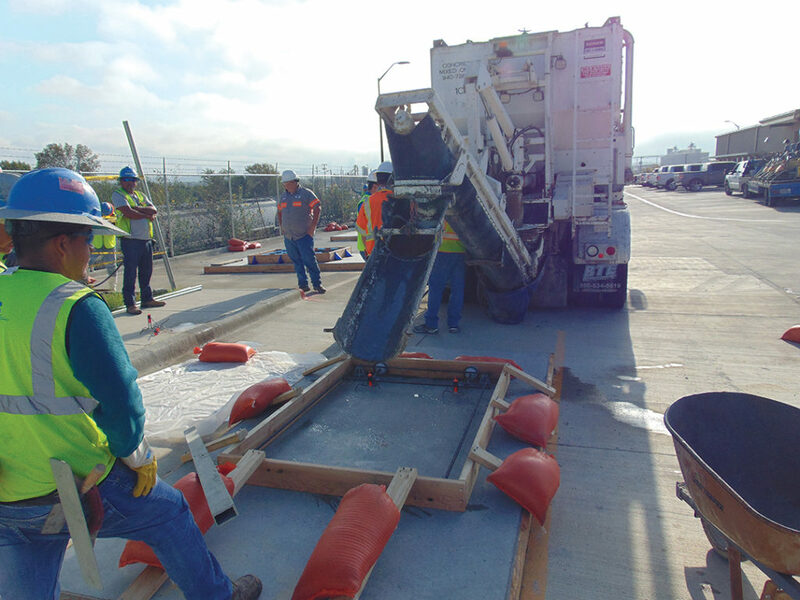 Applications include highway and airport pavements, bridges, flooring, tunnels, and pre-cast to smoothing compounds (Wunderfixx®) and fast-track tilt-up panel designs. 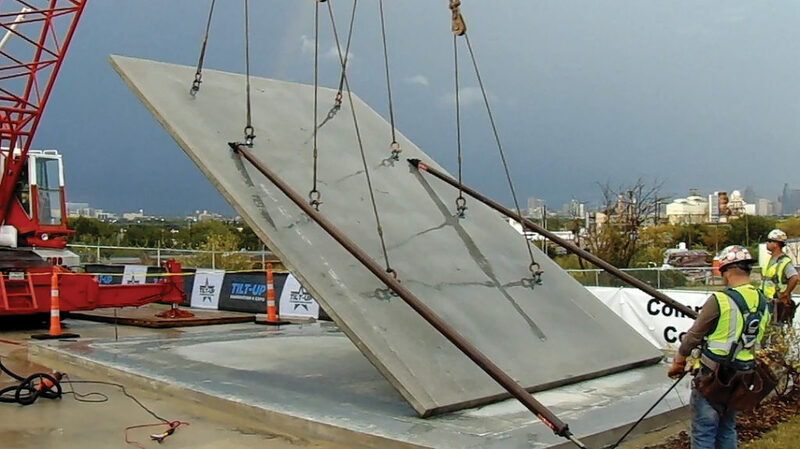 The Rapid Set® Cement mix design developed for the TCA convention demo panel achieved structural strength in only three hours and was erected at four hours. FastRock TU™is a high-performance, CSA cement-based additive designed for use with local portland cement to produce a high-performance tilt-up concrete mix engineered to achieve high early strength, low shrinkage and improved sulfate resistance. Adjustable setting times accommodate a wide range of project requirements and construction schedules with mix designs engineered to be placed and erected within eight to twenty-four hours, improving overall project efficiencies and panel performance. FastRock TU mix designs typically replace 30-35% of the portland cement in the mix. Actual mix designs vary depending on application, performance requirements, and characteristics of other mix components (i.e., regional portland cement, aggregates, supplementary cementitious materials, and admixtures). CTS produces a wide variety of CSA cement-based products for both bulk production and bag applications. Two of the most commonly known products in the tilt-up industry are Rapid Set® CementAll® and Wunderfixx® which are available in Home Depot, White Cap and other building material supply yards across North America and around the world. 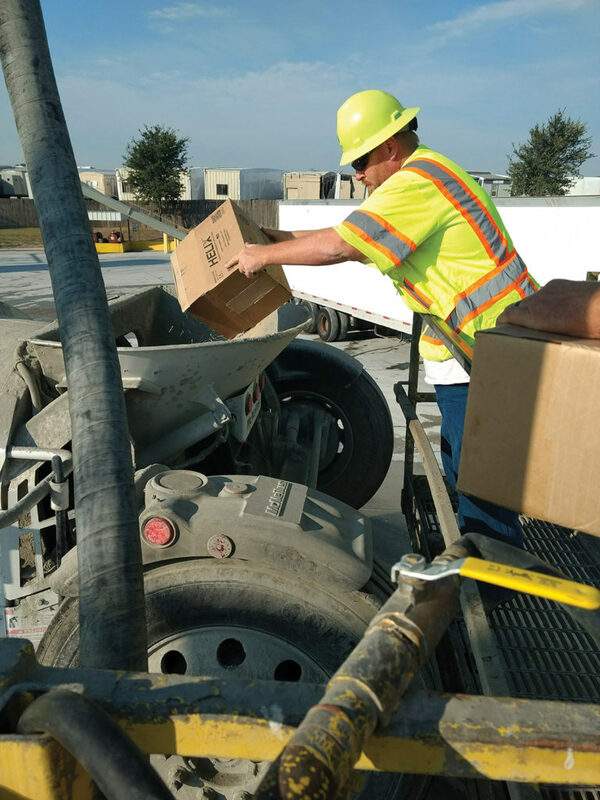 Other products, such as “CTS Rapid Set® DOT Concrete Mix” are used by State DOT’s for infrastructure repair applications. The photo shows Helix 5-25 Micro Rebar being installed along with CTS Rapid Set® DOT Concrete Mix on I-94 in Minneapolis, MN to repair joints. Integrating Helix 5-25 and CSA cement-based concretes has been shown to further improve both compressive and flexural strengths. Testing conducted at Element Materials Technology lab in St. Paul, MN provided independent verification of this synergistic effect. The testing of CTS Rapid Set® CementAll® with 2 lbs of Helix 5-25 per bag indicated a 50% increase in flexural strength (ASTM C78) at 28 days and a 30% increase in compressive strength at 28 days. The improvement is likely due to improved bond with the Helix 5-25 provided by the CSA cement in the mix, which further enhances the untwisting bond mechanism described above. More research is required to identify the exact mechanisms achieving this enhanced performance. The concept of using CTS’ CSA cement materials and Helix Micro Rebar in a tilt wall panel was proposed by Luke Pinkerton, founder of Helix Steel, in the spring of 2018 during a discussion with Don Greive of Pinnacle Engineering, about the use of CTS Cement’s Komponent™ product along with Helix 5-25 to eliminate joints in slab on grade designs. After the idea was hatched, the team quickly agreed that, while the concept is on the cutting edge, the idea of transferring the technology used on the MARS canopy structure to a practical application in the tilt industry was an exciting opportunity. According to Tim Manherz, Sr. Vice President of TAS Commerical Concrete, the key economic drivers in the industry are the escalating cost of rebar due to recent tariffs, as well as the labor shortages that remain since the recession. The reduction in labor and equipment costs and improved construction schedules, in addition to the reduction in rebar creates the opportunity for new solutions to be developed utilizing the Helix Steel and CTS partnership. These new solutions could potentially provide beneficial disruption to the industry. 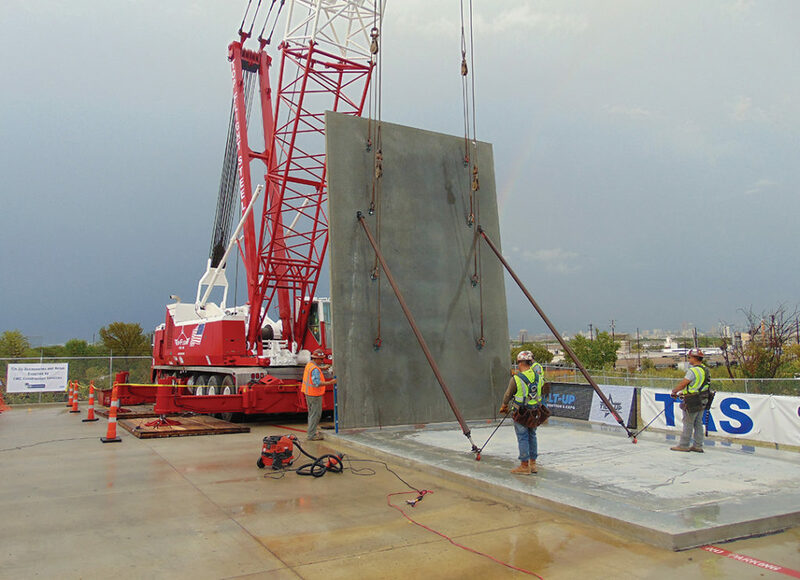 Pinnacle Structural Engineers prepared an initial typical design for a 24’ tall by 16’ wide panel supported on two piles with three eccentric point loads applied at the top. While it was agreed that a taller panel would be ideal, the objective was to provide a realistic panel that could be featured in the demonstration given the space and resource constraints. The original panel design was 5.5” nominal thickness and reinforced with #4 @ 12” OCEW. This rebar was selected to resist an ultimate moment of 26.7 kip-in/ft due to wind loading and the eccentricity of the point loads on top of the panel. Note that the structural thicknesses of all panels are actually ¾” less than the nominal thickness to allow for reveals and form liners. Trimble put together 3 dimensional renderings of the original design and the Helix panel using Tekla Structures and provided virtual reality representation with Microsoft Hololense technology at the demo. Using the baseline design by Pinnacle Structural Engineers, Justin Idalski of Helix Steel prepared two alternative Helix Micro Rebar designs in accordance with UES ER 279, Class C Design. The first is a 5.5” nominal thickness panel with #5 @ 48” vertical + 22.5 lb/yd³ of Helix 5-25 and conventional 4000 psi concrete. The second design was a 4.5” nominal thickness panel with #5 @ 48” vertical + 45 lb/yd³ of Helix 5-25. Both panels had perimeter bars and a horizontal bar at each lifting insert location to hold the insert in place during the concrete pour. Given the designs meet the requirements of UES ER 279, IBC code compliance is achieved in Seismic Design Categories A, and B (per the restrictions in the report available at http://www.iapmoes.org/Documents/ER_0279.pdf) even with the reduction in rebar. Note, the remaining rebar still meets code minimums for walls, however much of the bending moment capacity is provided by Helix Micro Rebar. 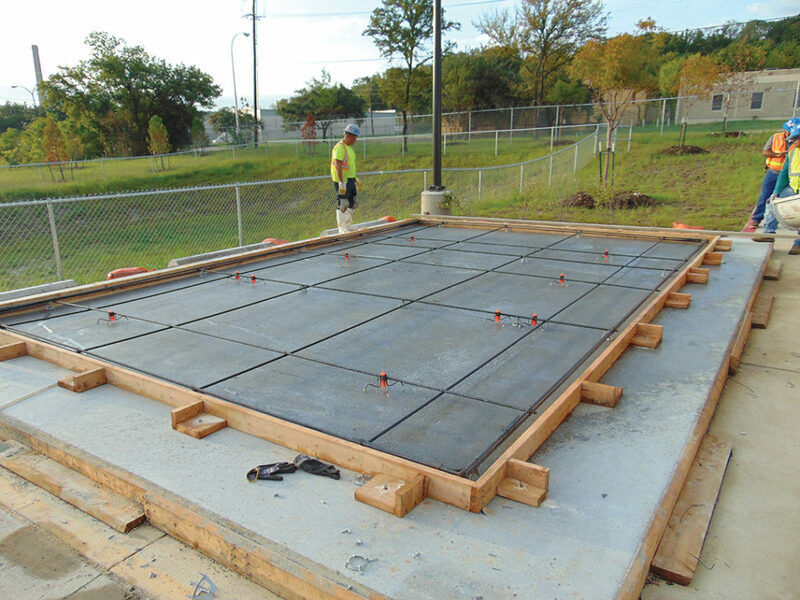 Prior to testing, Leroy Caldwell of CMC prepared analysis to determine a minimum of 300 psi flexural capacity would be needed to erect the panel. While achieving 300 psi in 6 days was not an issue with a conventional mix design for the 5.5” panel, verification testing needed to be done to ensure the Rapid Set ® and FastRock™ TU products could provide 300 psi within 8 hours. To verify this, Brian Lambert of Argos provided actual materials to Nick De Ocampo and David Reyes of CTS who conducted laboratory testing of the FastRock™ TU/Helix mix design to measure flexural strength development versus time. The two mixes evaluated achieved 260 psi flexural strength at just 3 hours and exceeded the 300 psi erection criteria in 8 hours. 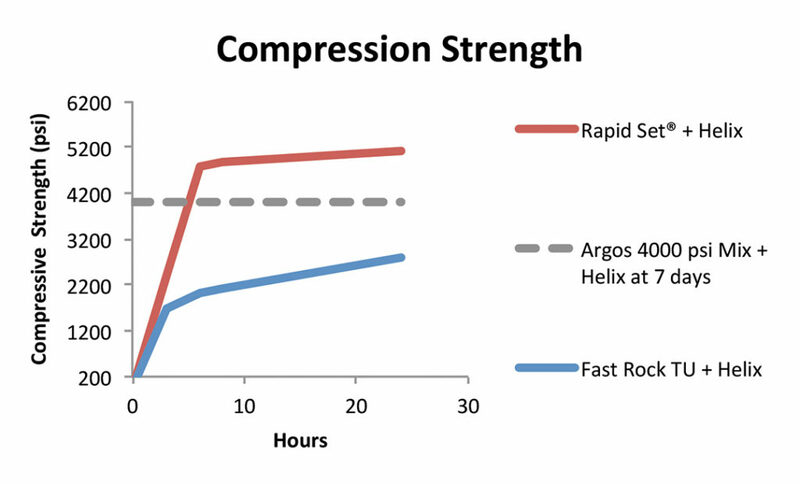 Similar testing was completed with Rapid Set ® Cement/Helix mix designs which depicted the expected performance of a full Rapid Set® Cement mix design, with even faster strength development, exceeding 300 psi flex strength at 3 hours, 605 psi flex at 6 hours, and 767 psi flex at 24 hours; compressive strengths reached 4875 psi at 8 hours and 5118 psi at 24 hours. With the designs and material testing completed in early summer, full-scale validation was needed for the 4.5” Helix panel and the 5.5” CTS Rapid Set®/Helix panel chosen for exhibition at the TCA convention. Trial pours were conducted by Argos, DDM and TAS Commercial Concrete later in the summer. Rapid Set® Cement and FastRock™ TU panel designs with Helix Micro Rebar have been produced via ready mix and volumetric/mobile mixer. The ability to successfully introduce all of these materials with variable mix designs, delivery methods, site conditions, and field operations situations, confirmed maximum flexibility in production options. For the TCA panels, the 4.5” Helix panel was produced via ready mix, and the Rapid Set®/Helix® panel produced via volumetric/mobile mixer. 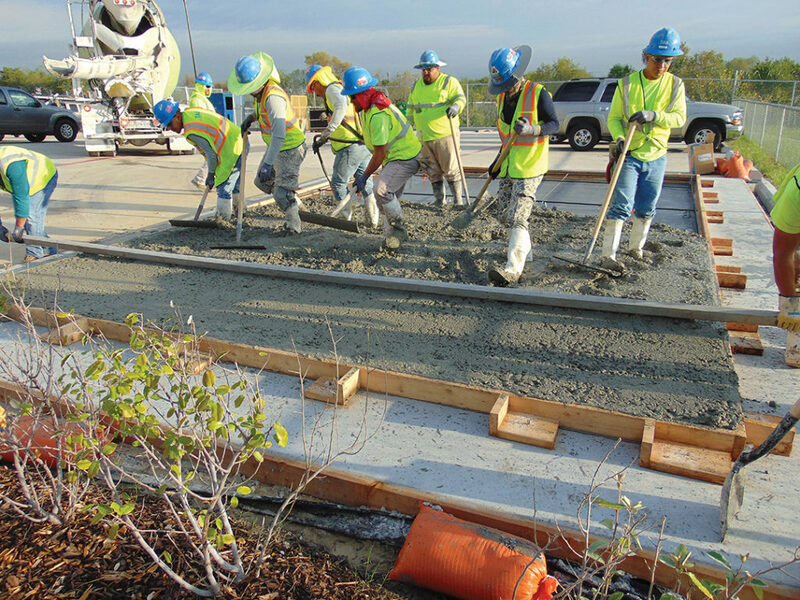 While use of Helix Micro Rebar, Rapid Set® Cement, and FastRock™ TU does not require any complex special procedures or techniques, best concreting practices must be followed for mixing, placing and finishing. As with all ready mix production, expected transit times and ambient temperatures must be taken into consideration, and the most effective retarder dosage should be used to allow maximum working time without compromising speed to strength gain requirements. The use of a volumetric/mobile mixer eliminates transit time challenges and offers maximum working time for finishing. Helix Steel can be incorporated into either delivery method. When introducing into a ready mix truck, Helix Steel recommends introducing Helix 5-25 directly into the barrel along with 70-80% of batch water, allowing 60-second mixing at charging speed prior to the addition of other materials (i.e., aggregates, cement and remaining materials). When introduced into a volumetric/mobile mixer, Helix 5-25 can be pre-blended with the sand or introduced directly at the bowl successfully. Alternative procedures and equipment are available for both types of production based on batch plant facilities or volumetric/mobile mixer design. Helix-CTS concrete mix designs behave similarly to ordinary concrete, with the exception of the speed to set. Finishing is accomplished using standard methods with attention being given to the reduction in bleed water that will occur with CSA cement-based materials, and the need to develop adequate paste at the surface to ensure that Helix Micro Rebar is forced below the surface. Helix Micro Rebar is electrogalvanized with zinc to protect against corrosion and will not protrude from the surface on either side. The process of screeding and floating will force the Helix Micro Rebar slightly further below the surface on the finished side of the panel. Wet curing until the panel has achieved sufficient strength will produce the best results when using Fast Rock TU and Rapid Set Cement. Alternative methods, such as application of a curing compound can also be used. ASTM C78 beams, in addition to standard compressive cylinders, should be cast and field cured along with the panels. Prior to erection, beam testing should be completed to confirm the lifting engineer’s minimum flexural strength has been achieved. Once confirmed, erection should proceed in accordance with standard practices. Note, as with conventional panels with only one layer of rebar, the concrete must remain un-cracked during erection to avoid excessive deflection and/or failure. The panels placed during this collaborative project were inspected for shrinkage cracks prior to erection to limit this risk. The 4.5” Helix 5-25 panel was erected live in front of an audience of nearly 200 on September 20, 2018. As discussed previously, the key drivers for value are reduction of overall material and equipment costs, labor, and time savings. Recent shifts in steel and labor markets, as well as extreme schedule pressures, have made this concept more viable than ever. An initial cost analysis of the baseline panel and the alternative panel designs was performed. 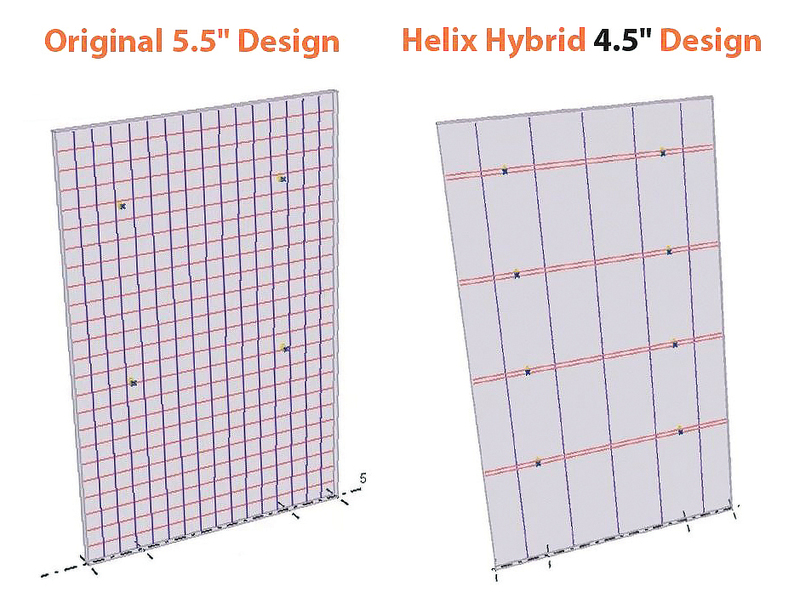 This analysis revealed that the 5.5“ and 4.5” Helix Micro Rebar panel are about equal in direct material cost relative to the reduction in rebar offset bythe cost of the Helix Micro Rebar. The 4.5“ Helix-FastRock TU panel costs about 10% more than the baseline panel, directly related to the higher Helix 5-25 dosage and cost of the FastRock TU additive. Though direct material costs may be cost neutral or slightly higher, the direct cost savings in labor, crane rental, and schedule days readily exceed the material cost impact. Overall project value consideration is necessary to realize the significant economic and engineering value of these innovative panel designs. 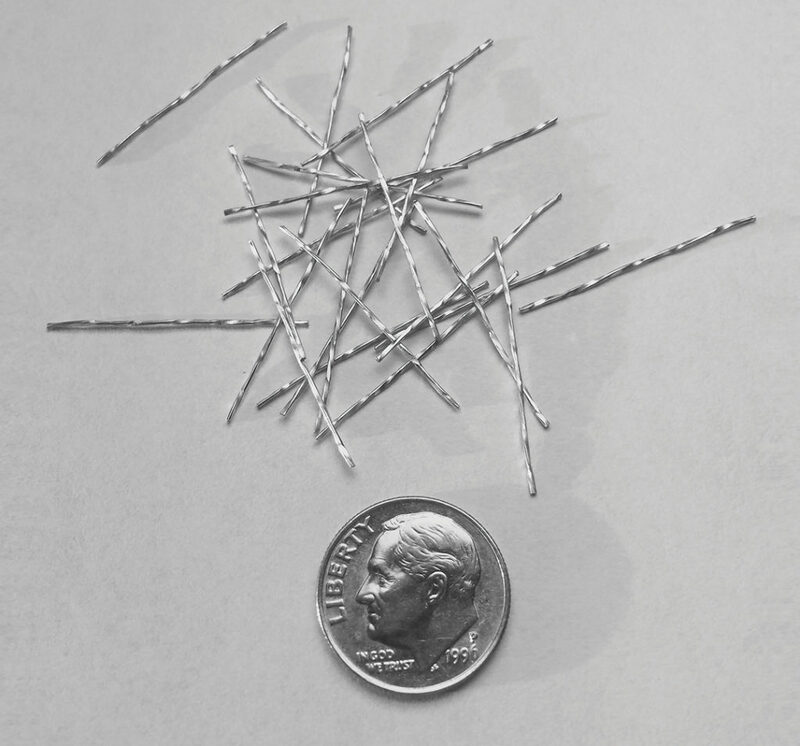 The use of Helix Micro Rebar allows for removal of 70% or more of the rebar originally specified in a baseline panel. According to Tim Manhertz of TAS, significant time-savings could be achieved with the reduction in rebar, “the time needed to prep each panel could be cut in half. And my own crew could install the rebar. This could easily save 1-2 weeks on a typical 150,000 square foot box that normally would take six weeks”. He further indicated this could reduce site overhead to the tune of thousands per week. Currently, curing time can be compressed using high early mixes, which typically require 48 hours. Using the CTS-Helix combination, the curing time can be further reduced to as little as 3 hours. The value of this will depend on a number of factors that affect how a job is sequenced. For example, when there is limited space and/or number of casting beds, a bottleneck can be created. Faster curing times would significantly increase the throughput of panels. 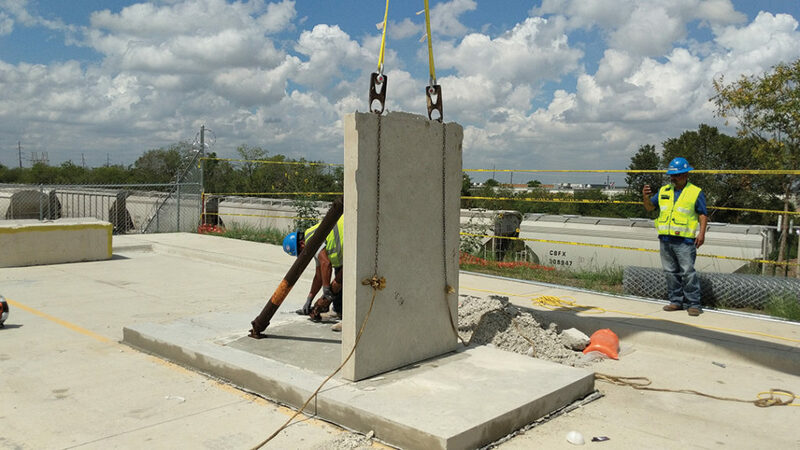 Quick turnaround times would also provide value if a panel were to fail, as the short cure time would allow a new panel to be erected without significant delay, or additional rental time of a crane. In addition to the time and labor savings, Helix Micro Rebar provides improved panel performance with blast resistance, toughness and shear strength as a “free side-effect” to its use. Integrating the high performance of Helix Micro Rebar and CTS’ Rapid Set® Cement or FastRock™ TU technologies offers new opportunities within the tilt-up community to further the innovation and develop more effective, value-added construction solutions that improve project efficiencies, overcome industry labor and material challenges, and speed time to completion. Management of highly compressed timelines for construction. How to take full advantage of a same day erection possibility. Ensuring best practices in mixing and finishing. While these don’t require special methods, they are more sensitive to poor practices. Production support. Availability of ready mix facilities capable of and willing to add an alternative cement additive directly via normal batching procedures. This is the most efficient method of introduction. While addition can be done manually, complexity and the potential for human error is increased. Careful coordination and communication of all parties involved is essential to ensure strength development occurs within the design timeline. Volumetric/mobile mixers offer a viable alternative to ready-mix production when transit times are of concern, or ready-mix plant facilities or support are not sufficient. Scaling of design to full 40’ and above tilt walls. Lifting stresses can be higher in taller panels, which could drive a need for higher Helix Micro Rebar and/or CSA cement dosages (cost). The cost benefit needs to be assessed for each day saved in the erection process. Slenderness effects would need to be considered when thickness is reduced, especially in taller wall panels. Design of panels with openings. Helix is best utilized when there is the opportunity to replace common bar in both directions. It will not eliminate the need for bar around windows, doors and/or in embedded columns. Code approval of Helix Micro Rebar is accomplished through the use of an evaluation report and alternative allowances in the codes. Mass adoption would be facilitated by direct inclusion in the codes. The team collaborated to successfully demonstrate the transfer of the technology used in the MARS Canopy into a real-world tilt application. While the method is code compliant and immediately available, some additional work is required to allow mass-market acceptance. The team is very grateful for the opportunity to conduct this demonstration and looks forward to working with the industry to further develop and refine these cutting-edge methods into commonplace practices and make the Tilt-up method even more competitive and flexible in the future. 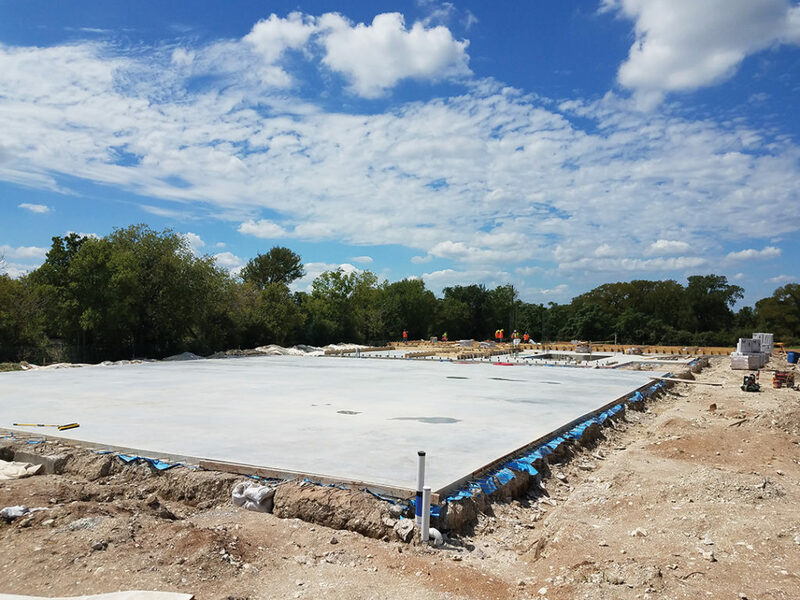 The team is now looking at an opportunity to reduce rebar in panels at Seretta’s new Austin, TX facility, which will complete the cycle started just over a year ago at the Dallas Future Think Event. We would like to thank the following companies and individuals for their support of this effort. George L. Throop Co. and DDM Materials, Inc.
Pinkerton, L., Stecher, J., Novak, J., Twisted Steel Micro Reinforcement. Concrete International, Vol 35, No. 10 (2013). ER-279, Uniform Evaluation Service Evaluation Report #279, Uniform Evaluation Service, 5001 E. Philadelphia St. Ontario, CA 91761 – USA (2014).